Book any 2 classes for the same month for an even better deal !! 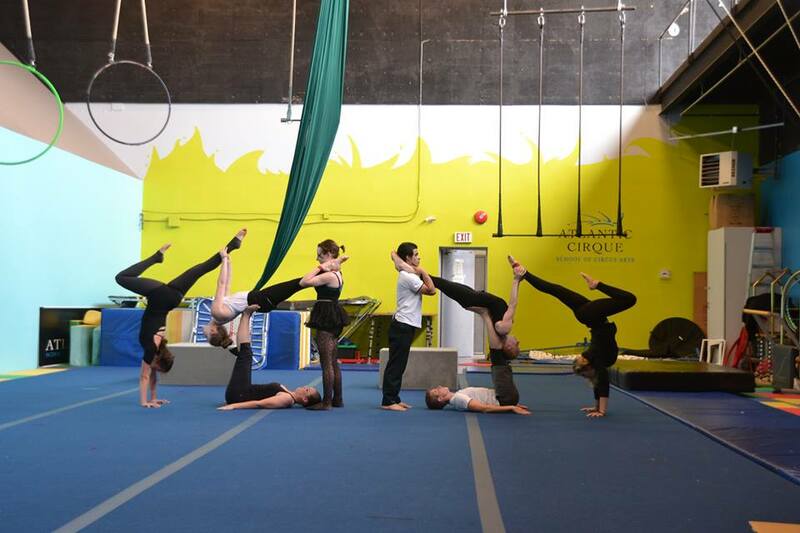 WEE-CIRCUS, LITTLE-CIRCUS, FLOOR ACRO: $60 for July or August, $104 for both months! 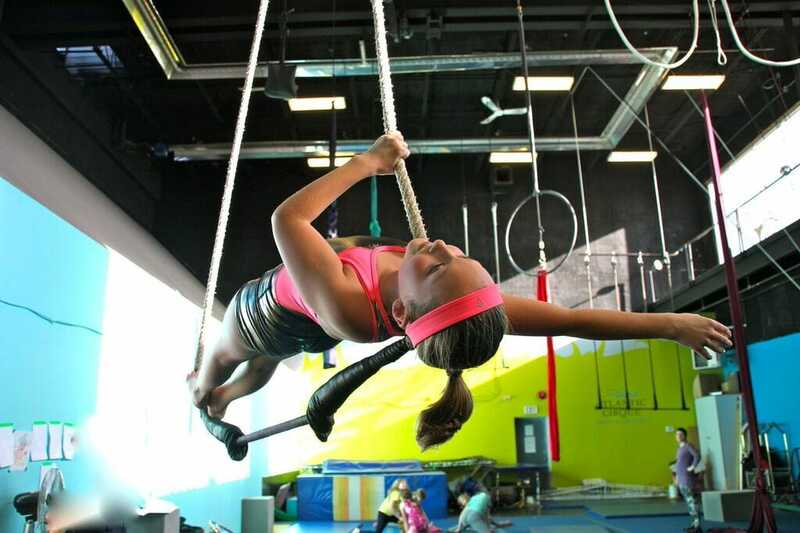 JUST AERIAL, KIDS CIRCUS 1: $92 for July or August, $168 for both months! ADULTS: $99 for July or August, $184 for both months! These classes have been designed to suit the developmental needs of young children, like motor skills, coordination, balance, strength, flexibility, and focus in a playful and exciting atmosphere. Students work on basic juggling, beginner acrobatics, easy trampoline skills; basics of low-level aerial circus through trapeze, silks, and cerceau; learn about object manipulation like juggling and spinning plates; and learn basic acrobatics like forward rolls and cartwheels. It's a great way to learn and develop agility and promote health for your child. 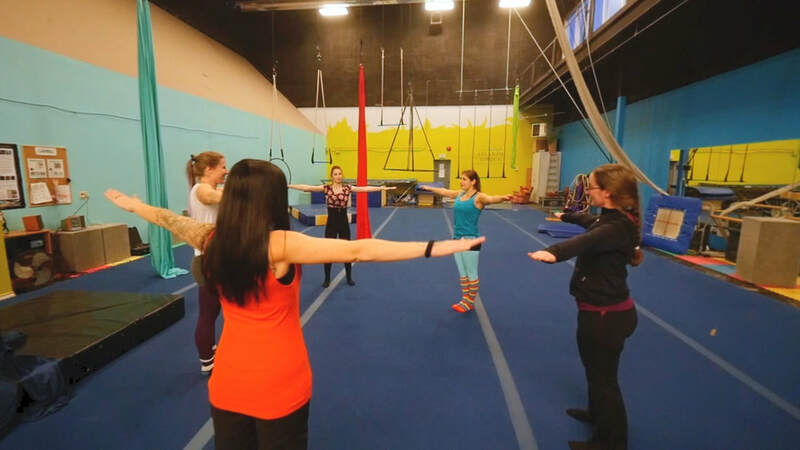 These 90 minute classes are created to introduce students to a wide range of circus disciplines, aerial apparatus; silks, rope, trapeze, lyra; acrobatics like rolls, cartwheels, and begin working toward handsprings and walkovers; trampoline skills; group and partner acrobatics; juggling; and handstands. Aerial is one of the most popular disciplines when it comes to circus arts. In this workshop, participants will have the opportunity to learn tricks and technique, develop strength, flexibility, endurance, and aerial body awareness on the aerial silk, trapeze, Lyra (aerial hoop), rope or diamond. No experience necessary. Learn to do handstands, flips and cool combinations of acrobatics movements in this new class. It's a great way to get active while having fun. No need for prior gymnastics or other athletic experience - everyone's welcome! This class has been designed to teach adults all aspects of circus arts, to encourage health and wellbeing, and to provide a friendly and supportive environment to work on individual strength, flexibility, and fitness on the floor and in the air!